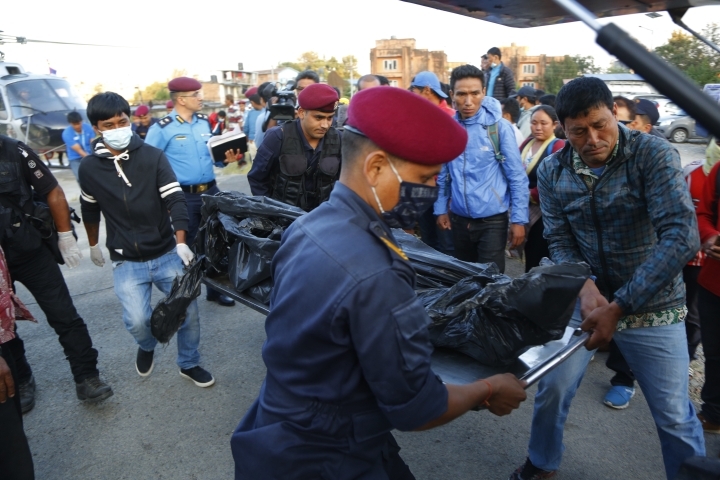 KATHMANDU, Nepal — The nine climbers who died during the worst disaster on a Nepal mountain in recent years included the first South Korean to summit all 14 Himalayan peaks over 8,000 meters without using supplemental oxygen. An official from the South Korea's Corean Alpine Club said the bodies of Kim Chang-ho and four other South Koreans who were killed will arrive in South Korea on Wednesday. 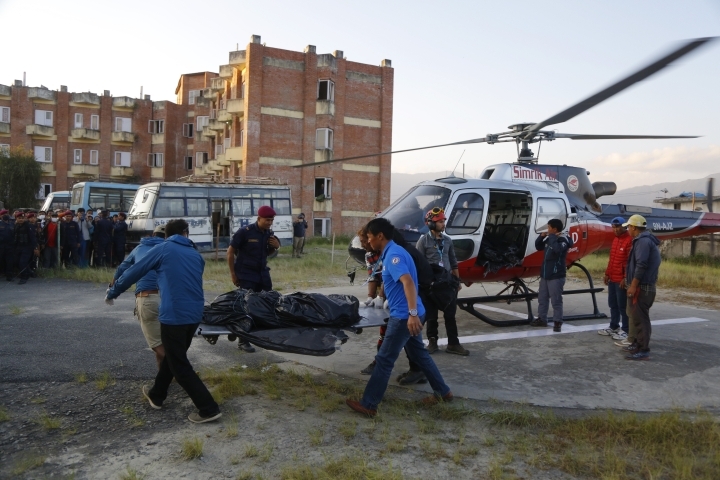 Four Nepalese guides also were killed when a storm swept the climbers' base camp on Gurja Himal mountain Friday. The CAC official, who didn't want to be named because she wasn't authorized to speak to reporters, identified the other South Korean victims as Yu Yeong-jik, Im Il-jin, Jeong Jun-mo and Lee Jae-hoon. Yu was reportedly in charge of equipment for Kim's climbing team. 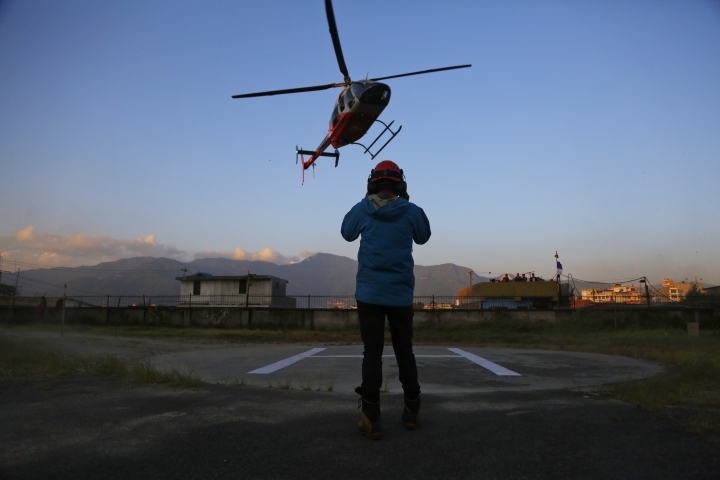 Im was a filmmaker who specialized in documentaries of mountain climbers. Yonhap news agency said senior CAC member Jeong wasn't part of Kim's team but was visiting them when the accident happened. South Korean President Moon Jae-in, an amateur hiking enthusiast who visited Nepal in 2016, expressed his condolences, saying the victims displayed a "great spirit that's about respecting nature while simultaneously trying to overcome it." "A snow storm has taken the nine climbers into the mountains forever, but their bravery and fighting spirit to break out a new route can never be buried," Moon wrote on Facebook on Sunday while on a visit to France. 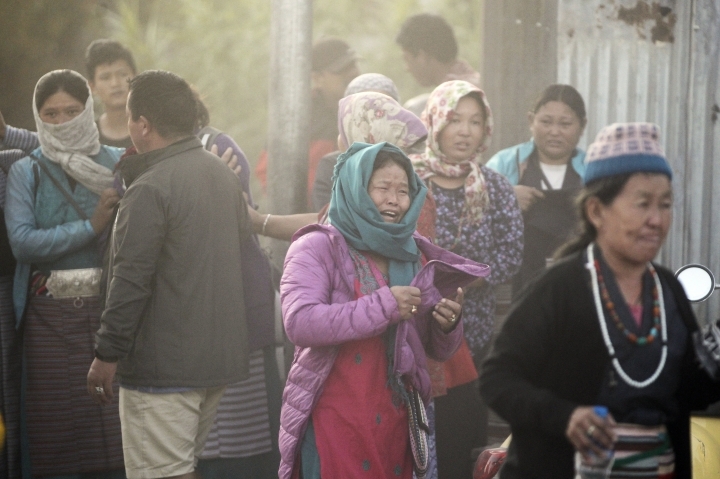 Santa Lama of the Nepal Mountaineering Association, who helped with coordinating the rescue, said since all nine people at the camp were killed and no surviving witnesses it was difficult to say what exactly happened or when. South Korea's Foreign Ministry told reporters strong winds during the storm blew the victims from their base camp off a steep cliff. Word of the destruction got out Saturday morning, and helicopters were sent. They were not able to land due to the continuing bad weather but spotted the bodies, which were retrieved Sunday. The CAC official said a Korean Air flight carrying the bodies of the climbers will arrive at South Korea's Incheon International Airport early Wednesday.